Yahoo Finance allows viewing option chain data online but has no download links. So, available solutions load and parse option chain web pages from the Yahoo Finance website directly. Market Data Downloader includes a preconfigured database and a solution for Microsoft SQL Server. RTD.DB allows using Microsoft SQL Server, SQL Server Compact, Oracle Database, IBM DB2, MySQL, PostgreSQL, and NuoDB. 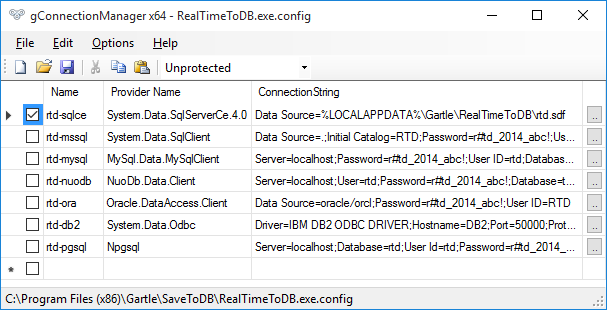 The RTD.DB download package includes SQL codes and batch files to create ready-to-use databases for all supported platforms. The first method is oriented to loading all option chains of the selected tickers using the batch files on a schedule. The second method is oriented to loading specified option contracts automatically based on refresh intervals. You may use both methods to get desired results. 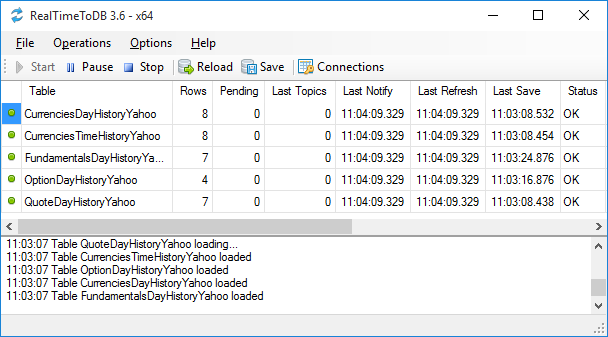 Market Data Downloader includes a preconfigured project for loading option chains from Yahoo! Finance for US exchanges. For example, you may see the OptionDayHistoryYahoo row. Or you may use the preconfigured rtd.OptionListYahoo table. Note that you may use the workbook prepared in the previous step. Just use the OptionListYahoo worksheet. 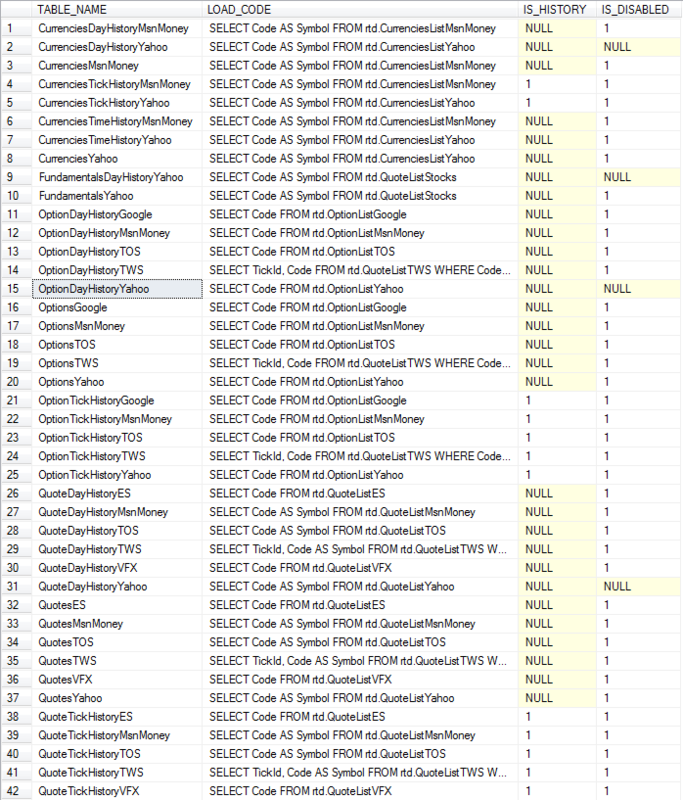 So if you need to load all option contracts for the specified symbols, you may use any solution to get option codes and to insert them into the rtd.OptionListTOS table.